Almonds are a great snack and packed with goodness. 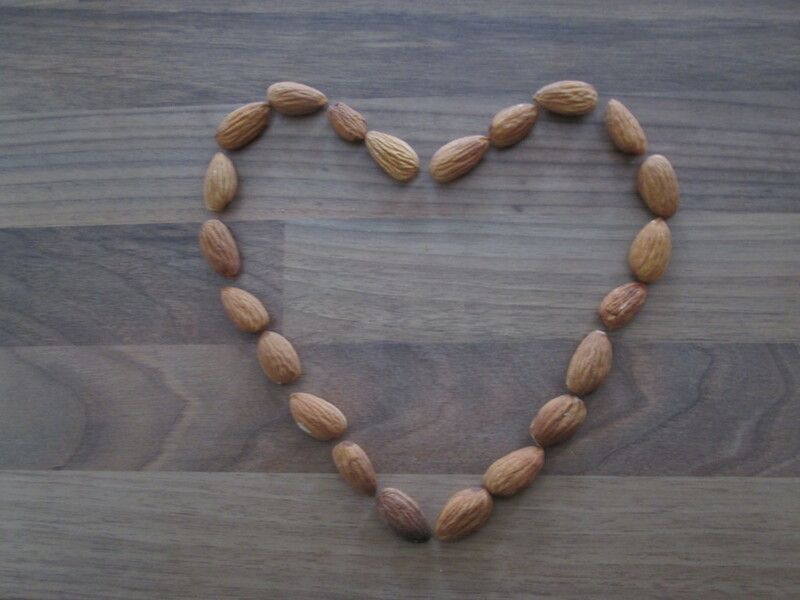 In snacking terms, almonds take a long time to digest so keep hunger at bay, great for people watching their weight. The slow digestion time is due to the high content of monounsaturated fats, a fat that is good for arterial and heart health. Almonds are extremely high in vitamin E, which is an antioxidant that keeps the skin healthy, reduces the pain of arthritis and protects against cancer and cardiovascular diseases. Almonds are higher in calcium than almost any other plant food and are therefore a good addition to vegan diets and for those who don’t eat dairy. 30g of almonds provides around 174kcal, 6.6g of protein and 3g of fibre. I wouldn’t ever think of almonds, or any nuts really, as a protein source, as you’d have to eat an awful lot of them to get any real protein content from them. Be careful with almond milk in this instance, as it doesn’t provide as much protein as cow’s milk, if protein is what you’re in the market for. I do tend to use almond milk for overnight oats when I’m on the move, as I hate the thought of cow’s milk spilling in my bag! Posted in Good foods, Healthy eating and tagged almonds, calcium, fibre, heart, monounsaturated fat, nuts, skin, snack, vitamin E.